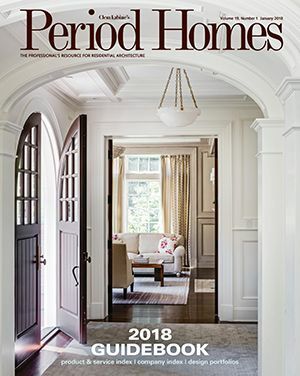 Period-Homes.com speaks to the traditional design trade exclusively working on authentic well-designed houses on a national scale. Read by architects, contractors, developers, artisans, and interior designers, it is the go-to resource for information on traditional materials, design practices, regional projects, and company profiles. Period Homes has the largest database of both professionals who buy historical products and suppliers of historical products and services. These databases are indexed in depth, so highly refined selections can be made. Mailing lists drawn from these databases can be made available to carefully screened clients. Articles highlight new traditional design, landscapes, restoration, renovation, adaptive re-use, and sympathetic designs for traditional residential architecture. Product guides, articles, and photo galleries provide the latest information on how to specify and locate historically inspired products such as windows, doors, lighting, columns, hardware and related services.